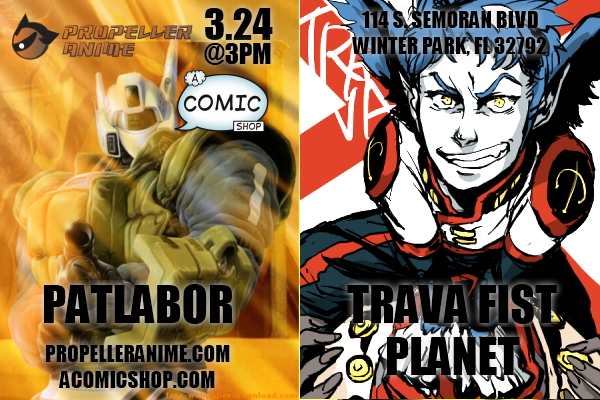 Propeller Anime: Propeller Anime meeting 3/24 @ A Comic Shop! We've had some fun times since we've moved to A Comic Shop. 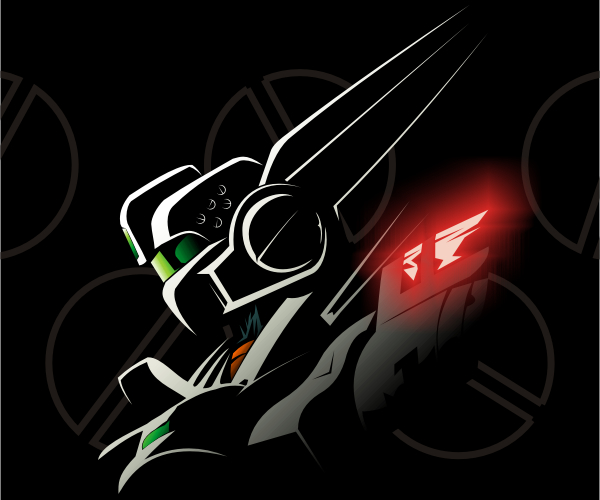 It's probably one of the best things to happen to Propeller Anime and for anime fans in the area. We've met a lot of cool people and we're happy to have you! We'll have a meeting on Saturday, March 24th at 3:00PM to watch some cool anime and announce the details for Friday the 13th horror-themed costume party in April. 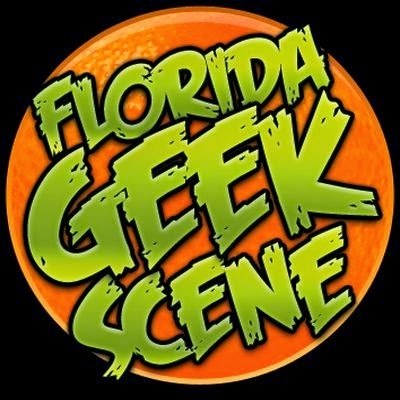 For those who do not know where A Comic Shop is, it's located at 114 S. Semoran Blvd. Winter Park, FL 32792. 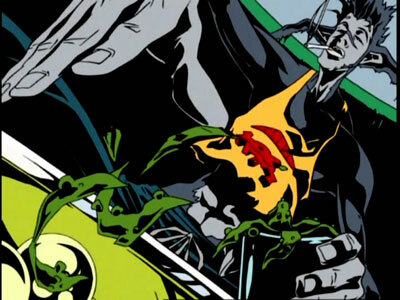 In January, we showed the explosive film known as Redline. It's certainly one of the best anime productions of the past few years and we hope it will lead to some more awesome anime in the not to distant future. But did you know director Takeshi Koike worked on an anime that not only predates Redline and takes place in the same universe, but even stars a couple of the characters that show up in the movie? Trava Fist Planet came out in 2003 and laid a foundation for what would lead to the production of what we watched only a couple of months ago. We'll be showing that but that's not all! If we have time, we'll show something fun and random. Or hang out. Perhaps both! We'll see you soon! 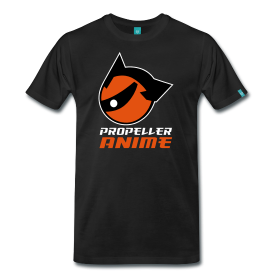 Spread the word about Propeller Anime! You can like Propeller Anime on Facebook, follow us on Twitter, and keep us in your Google+ circles!